MOON: Happy New Year to you also! JENN: How was your holiday? MOON: The holidays were relaxing. New Year's was great (I got to hang out with my BFF Jenn!). How was your holiday? JENN: Pretty good! I got new sneakers and everything. Plus a free hat for my birthday! JENN: Did you run at all over your break? MOON: I did, yes! I was pretty diligent about staying to the task... it helps during times of stress. XD Did you? JENN: I did! Nothing speedy or spectacular but I'm just excited to be running regularly again post-injury. My foot problem definitely impacted my Dopey training, but it won't get in the way of Dopey itself! MOON: Yeah, I was worried about you and the races coming up! I'm glad you're staying positive. I have to admit I'm a bit jealous I won't be tagging along. Have any goals for the week? JENN: Don't die during Dopey! END OF GOALS. POSSIBLY FOREVER. MOON: Haha, you'll survive. After all, there are rides to ride. WDW to financially support. The list is endless, really. JENN I'm nervous, but I know I can do it. It'll be fun! :) You should come to the next one, though. MOON: I hope I can! 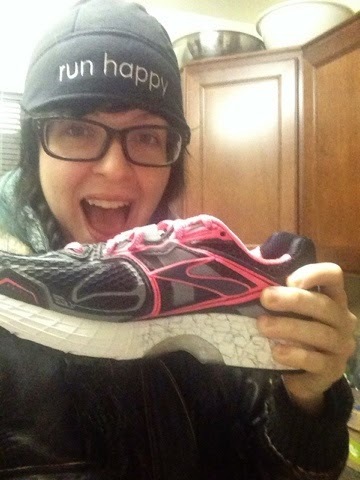 Over the holidays I met with a friend up in NYC who has started running. I told them that they should do a Disney race first because it's incredibly motivating, ha! No roundup this week - I have been WAAAAY busy prepping for this whole Dopey thing. More on that tomorrow, so be sure to check back! And fins. Fins are now an integral part of race prep inventory. Neither would a wetsuit come amiss.